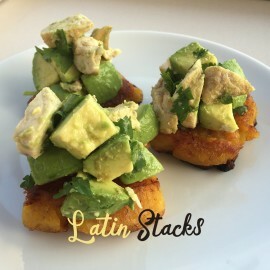 Yummy, crispy, and slightly sweet plantains topped with a chicken avocado salsa on top? That’s seriously delicious. 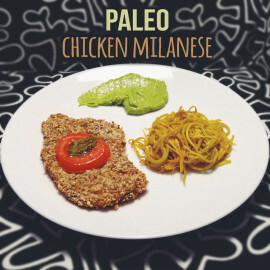 I created this recipe because I love main dishes that get you two fruits and veggies and your protein all in one bite. The unforeseen awesomeness of this dish, though, is that is can also work as well for an appetizer as it does for a side dish. During the Kentucky Derby this year, I got on a bourbon kick after making some mint juleps. That meant I traveled to my nearest liquor store (that happened to be going out of business) and bought a bunch of the good stuff. And because I didn’t want to become an alcoholic by drinking it all, I started experimenting with using it in cooking. 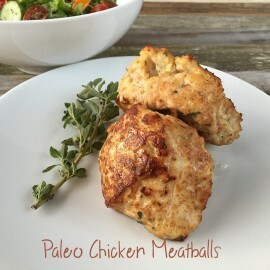 Enter the chicken meatballs. I remember the day I learned bacon wasn’t just for breakfast. 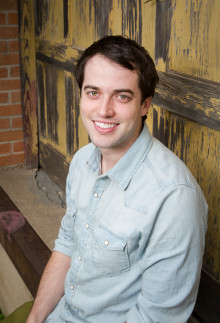 It might have just been the second happiest day of my life—rivaling only when I got to marry my beautiful wife. 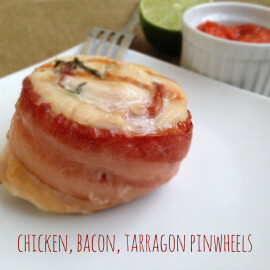 It was bacon wrapped chicken, in pinwheel form. Absolutely delicious. This recipe pays homage to that discovery. Since marrying an Argentine girl, I’ve come to love beef. Cows are pretty much a required dietary item in Argentina. But I also realize red meat isn’t the finest thing to consume in mass quantities. 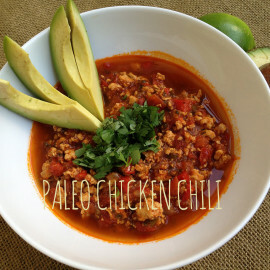 That’s why I made this paleo chicken chili recipe—to still get the deliciousness of the beefy meal, without the heaviness of the red meat.